Top Animation News is a weekly column that rounds up the biggest, best and breaking stories from the animation industry. This edition covers March 22 to 29, 2019. 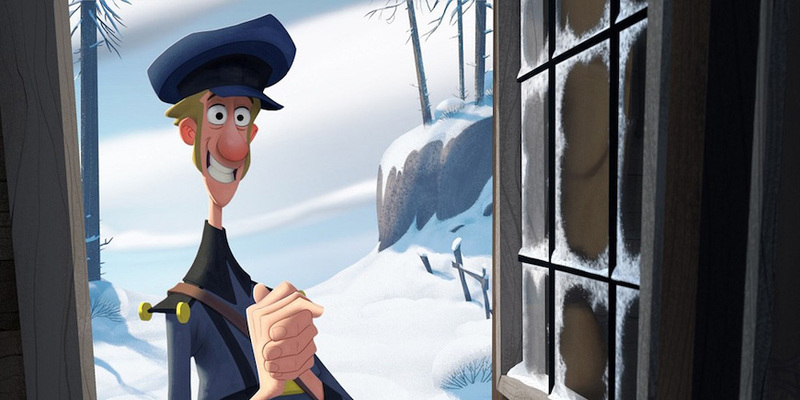 Klaus, Netflix’s first original animated feature film, will be getting an Oscar-qualifying theatrical run. Sergio Pablos' Klaus is being produced by The Spa Studios with traditional hand-drawn techniques paired with a CGI pipeline, animated in Toon Boom Harmony and planned in Storyboard Pro. Set for a Winter 2019 release, Klaus is a Santa Claus origin story centred around the friendship between a postman and toymaker. Gift yourself more Klaus details on “Animation Magazine”. Tech giant Apple announced details this week about its upcoming content platform, Apple TV+. The streaming service will compete with established players like Netflix, Amazon Prime and Hulu, and has already secured A-list creators like Steven Spielberg, Steve Carell, Oprah and J.J. Abrams. Apple has budgeted $2 billion for original content including three animation productions thus far: Wolfwalkers from Cartoon Saloon, Central Park and a series of toons based on Charles Schulz’s Peanuts characters. Stream all the Apple TV+ details on “Cartoon Brew”. Doctor Who: The Macra Terror is the latest of the British sci-fi series’ 97 missing episodes to get the animated treatment, brought back to life by UK-based Sun & Moon Studios in Toon Boom Harmony. “It was a bit of a risk as we had never used [Toon Boom Harmony] and it was to do this high-profile project, but we learned a lot in a very short space of time. We had faith in it and we’re very happy with the results,” says Dylan Shipley, co-founder of Sun & Moon Studios. Take the TARDIS to the Toon Boom blog to see how Sun & Moon Studios animated Doctor Who: The Macra Terror in Harmony. Brown Bag Films and Paper Panther Productions were among the big winners at the 2019 Irish Animation last Saturday in Dingle, Ireland, with three wins each. The event bookended the Animation Dingle conference (sponsored by Toon Boom). Among the big Harmony-produced winners were Space Chickens in Space from Gingerbread Animation (Kid’s Choice Award for Best Animated Series, Best VFX as Part of an Animated TV Series or Film) and Danger Mouse by Boulder Media (Best Director of an Animated TV Series, Best Music and Best Sound Design), though many of the other winners did preproduction in Storyboard Pro. Explore the full list of Irish Animation Award 2019 winners on “Kidscreen”. See the full Rising Stars of Animation 2019 list on “Animation Magazine”. Sniff out more 101 Dalmatian Street production details on “Cartoon Brew”. Starring Brenda Song, Amphibia is the latest children’s animated comedy series from Disney Television Animation. Premiering Summer 2019, it follows 13-year-old Anne Boon Chuy who is magically transported to the fantastical titular land populated by frog-people. 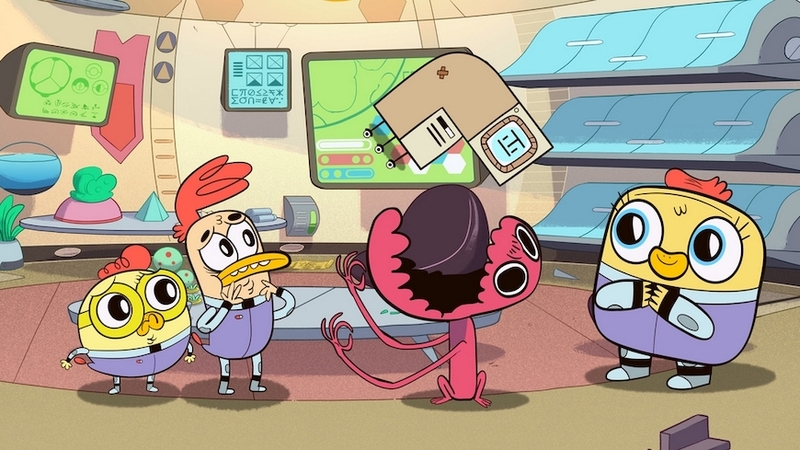 Amphibia is created and executive produced by Matt Braly, best known as the director of Disney’s Gravity Falls, and planned in Toon Boom Storyboard Pro and animated in Harmony. Swim into all the Amphibia details on “Animation World Network”. Trailer Park Boys fans rejoice: the long-running live-action Canadian comedy is returning as an animated series this Sunday, March 31. Aptly titled Trailer Park Boys: The Animated Series, the first season will include 10 episodes released simultaneously on Netflix — all produced in Toon Boom Storyboard Pro and Harmony. Julian, Ricky and Bubbles will all be back and voiced by their original actors, similar to the cartoon version of fellow Canuck comedy Corner Gas Animated. Watch the Trailer Park Boys: The Animated Series trailer above. Nora Smith is evolving and expanding her relationship with 20th Century Fox through a multi-year overall deal. She rose from a staff writer on Bob’s Burgers (produced in Toon Boom animation software) to executive producer, and will now serve as co-showrunner alongside creator Loren Bouchard. The two, alongside Josh Gad, have also co-created Apple TV+ animated comedy Central Park. Dig into the Nora Smith x Fox deal details on “Deadline”. Kevin Harkey has storyboarded some of Disney’s biggest animated films of the last three decades, from Beauty and the Beast and The Lion King in the 1990s to How to Train Your Dragon and Frozen in the 2010s. Among the highlights of his career was drawing a chase scene in Tarzan where he devised which predators would be pursuing Jane, with the segment becoming one of the film’s most memorable moments. 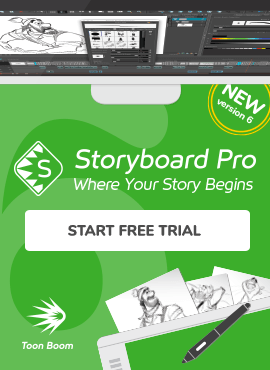 While his talent has remained, the tools and technology of the industry have changed over the years and he has since adopted Toon Boom Storyboard Pro as it’s the program used by his major studio clients. Read the full Kevin Harkey profile on “Seven Days”.